Sometimes spring, summer and autumn all blend into one in Ireland and the UK. We are all used to having to deal with different weather from day to day so this is how I prepare for different conditions throughout such a changeable period. Just like in winter a good base layer is essential. I tend to alternate between the short sleeve and long sleeve options depending upon the temperatures, but I do always wear a base layer. 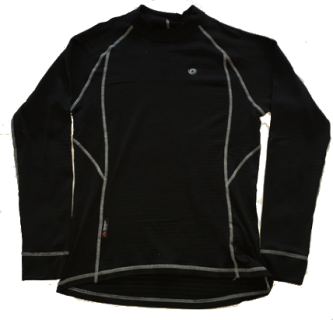 A good long sleeve jersey is a great addition to any cyclists wardrobe. Normally they are made from a slightly heavier material than the short sleeve options. 50% of the time I will wear a gillet over the long sleeve jersey for a bit of extra wind protection and warmth on the cold days. I always wear bib longs in Spring and Autumn unless I am someplace really warm like Thailand or Mallorca. It is very important to keep the knees covered and warm to avoid injury. I often see people out riding their bikes on a cold day in shorts and feel the pain for them. A roubaix or vuelta materiel offers warmth and protection whilst also feeling very light to wear. Again a really good chamois is very important. I also often use a wind and waterproof gillet that is really lightweight. This is great to wear for the first 15 minutes or so whilst you are getting warmed up and then can be taken off and folded up to be stored in a pocket. It can also come in handy during a shower of rain.